Sumter County is named for Thomas Sumter, who was a Continental leader during the American Revolutionary War. 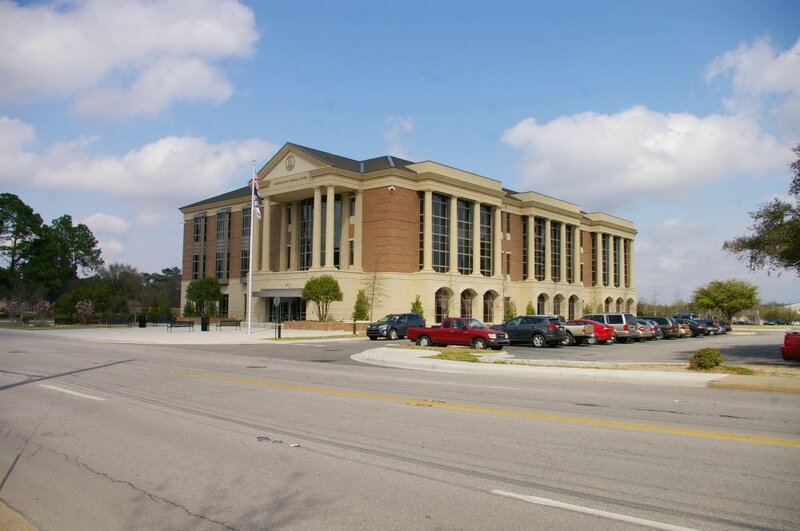 Description: The building faces west and is a two story buff colored brick, limestone, metal and concrete structure. The building has a large porch supported by six large white colored columns. 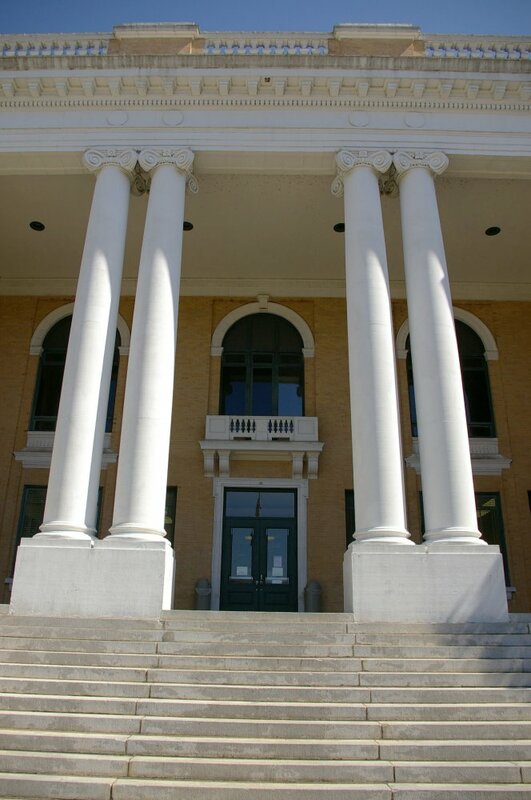 The entrance is recessed with three large arched windows on the second story. 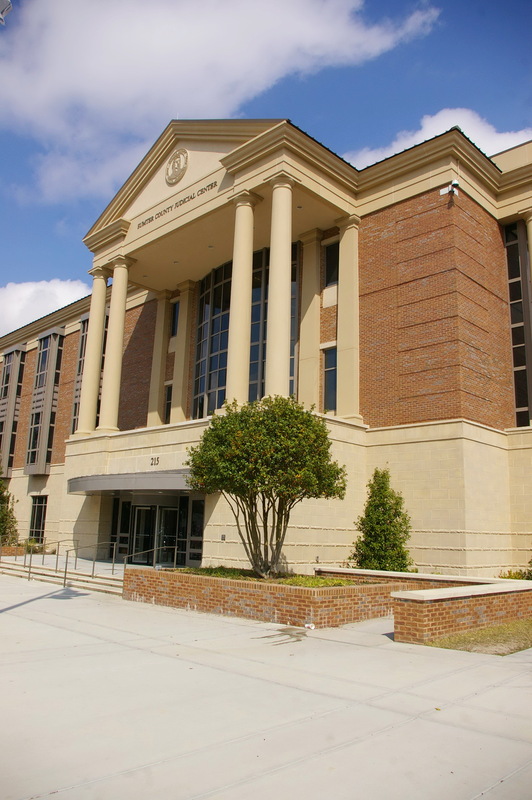 A wide white colored header runs along the roof line with a balustrade above. 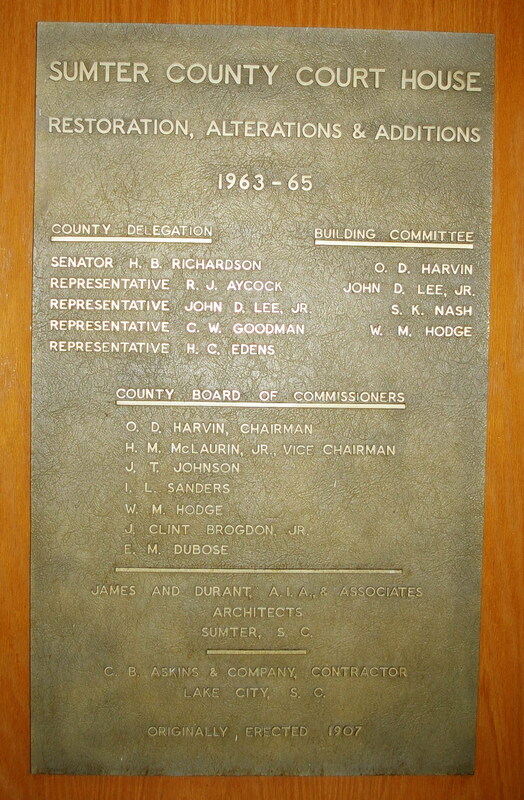 The building was renovated from 1963 to 1965. 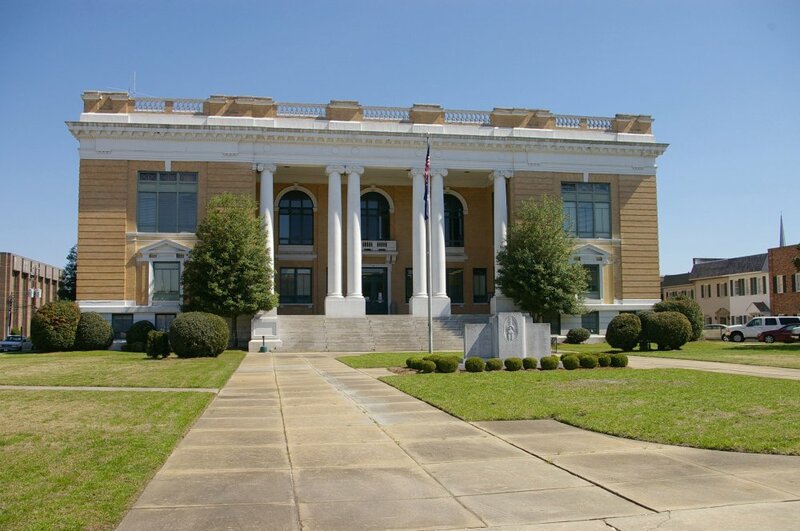 The architect was James & DuRant & Associates of Sumter and the contractor was C B Askins Company of Lake City. 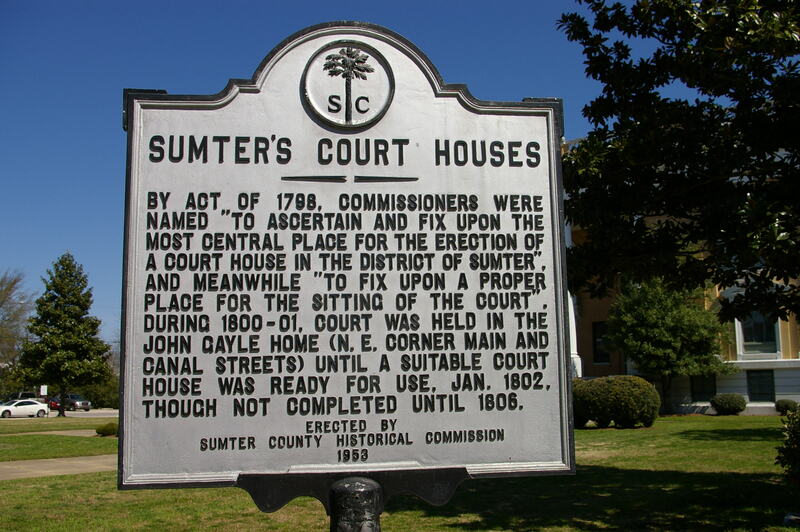 Note: The previous courthouse was designed by William Jay and built in 1821. 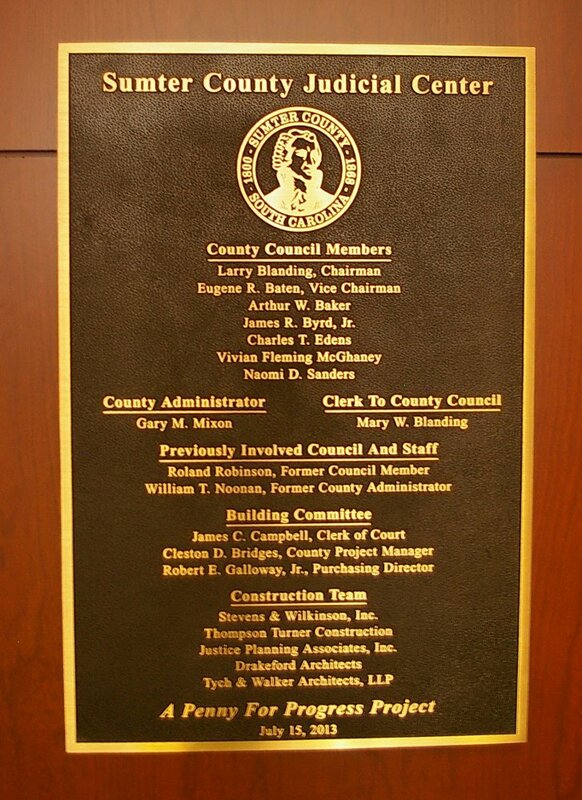 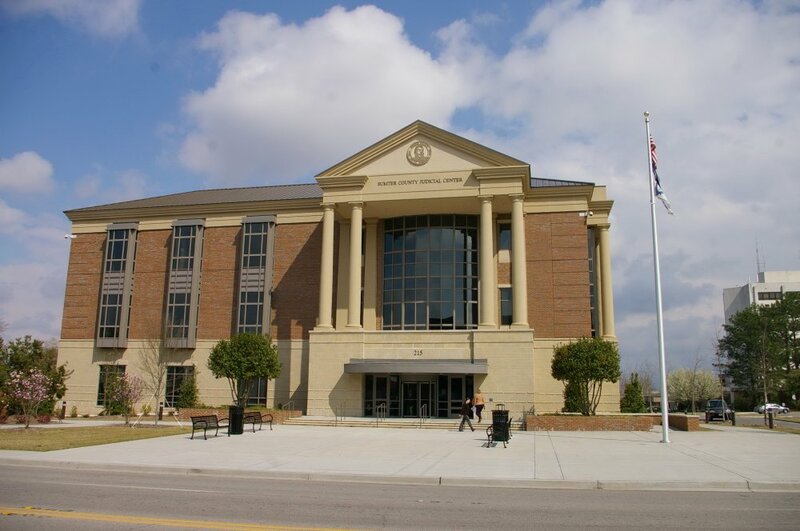 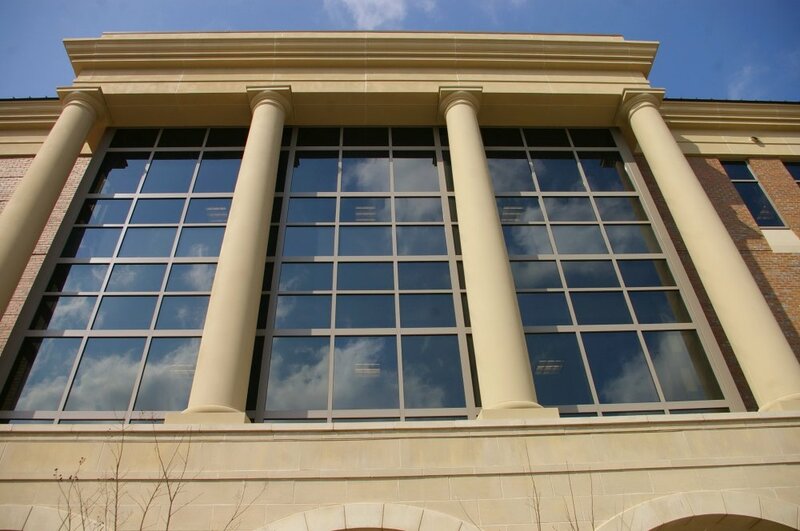 The cost of construction of the present courthouse was $85,000. 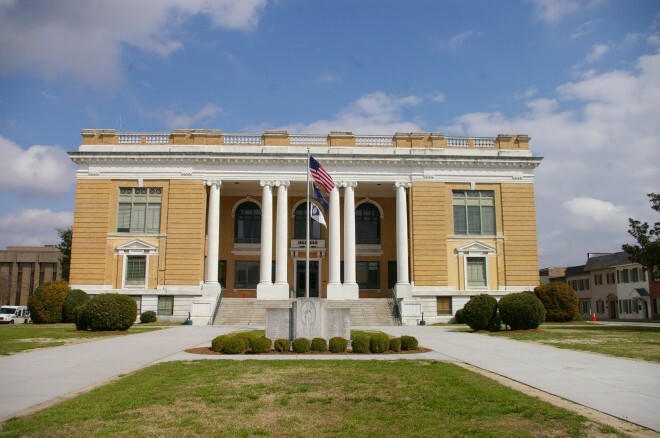 Architect: Stevens & Wilkinson, Inc. 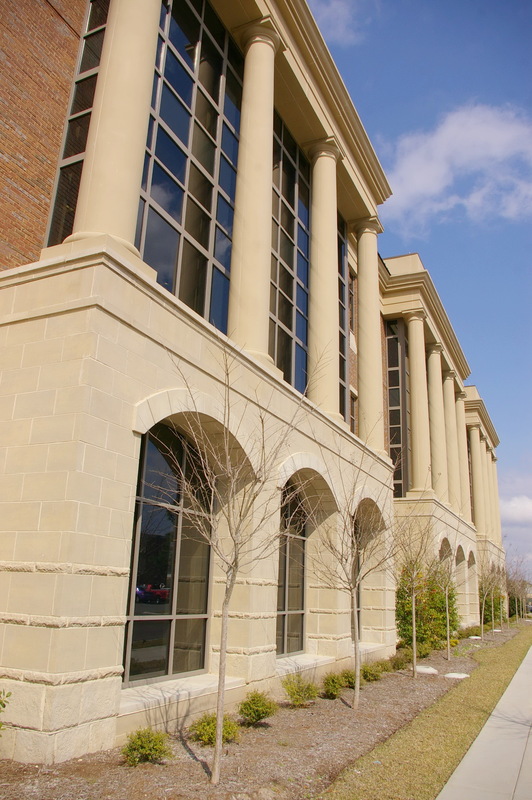 Description: The building faces west and is a three story brick and concrete structure.